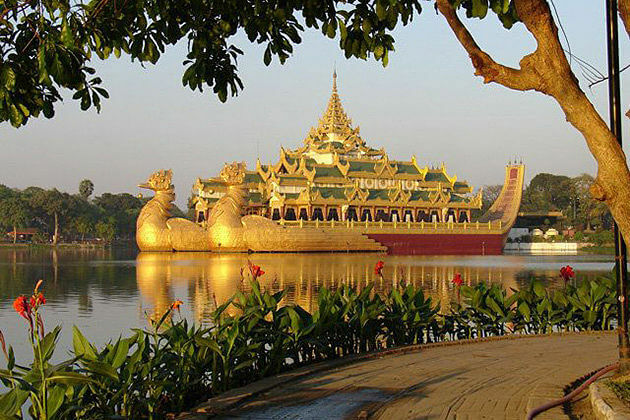 This 4-day trip from Yangon delivers you the opportunity to explore a variety of attractive spots in Yangon and the surrounding. 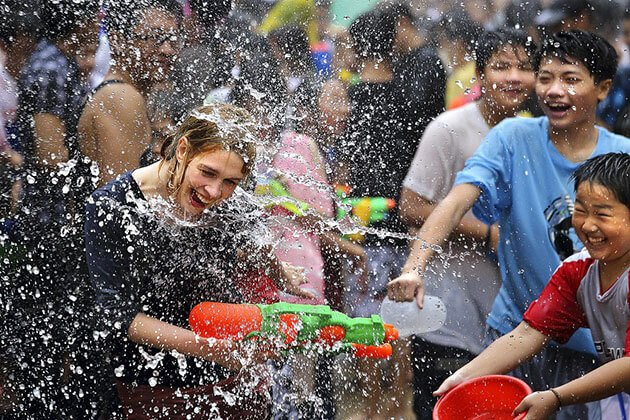 Visit both the popular sites in Myanmar as well as ethnic tribes at remote areas. Behold the spectacular historical heritages coupled with breathtaking landscape and deepen insight into local life, history, and custom of residents along with destinations. 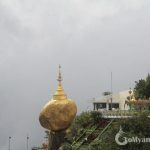 Leaving Yangon in the morning, head to Golden Rock (drive via Bago: 194 km – 5 hours). 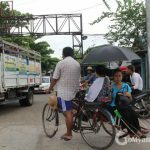 Late morning, arrive at Golden Rock base camp and transfer to the upper area with one of the small open trucks in a one hour ride. Once at the pagoda, you can enjoy a spectacular view with fresh air. Back to the hotel at the base of Golden Rock. Overnight at Golden Rock. 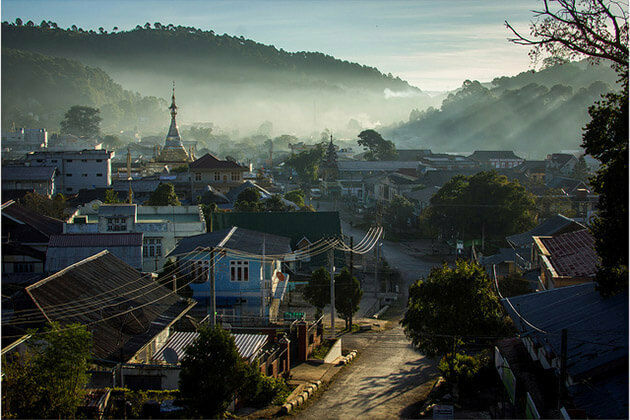 Departing Kyaikhtiyo, in the early sunrise time, stroll around the hill sites, return to hotel and breakfast there. Then back to base camp by the truck. After arriving at base camp, continuous drive to Hpa An. A stop at Kha Yon Cave outside the city, a natural cave where residents come to worship and pray for good health and prosperity. In addition to the many Buddha statues, the cave also consists of many beautiful stalagmites and stalactites formed over the centuries. The next site will be Kadoe Kawnat village, where guests will visit Kawnat Monastery. A villager named U Nar Quat, known as a wealthy and generous man built this woodcarving monastery a century ago. Due to his donation that people had this religious site constructed nearby his village. 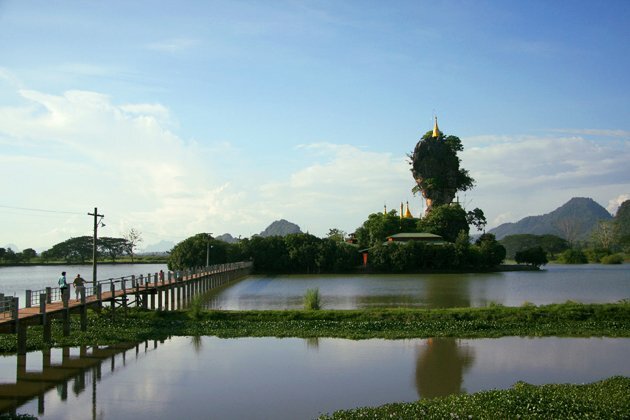 Upon arrival at Hpa An, guests will first visit Kyauk Kalat, a pagoda put up on layers of natural rock formations. Flanked by a lake, the scenery guarantees a great photo opportunity. Proceed to the foothill of the 722-meter-high sacred Mt. Zwe Kabin with thousands of identical Buddha statues lined up at its base. Kaw Gun Cave, also known as the “Cave of the Ten Thousand Buddhas” will be the next destination after lunch time. 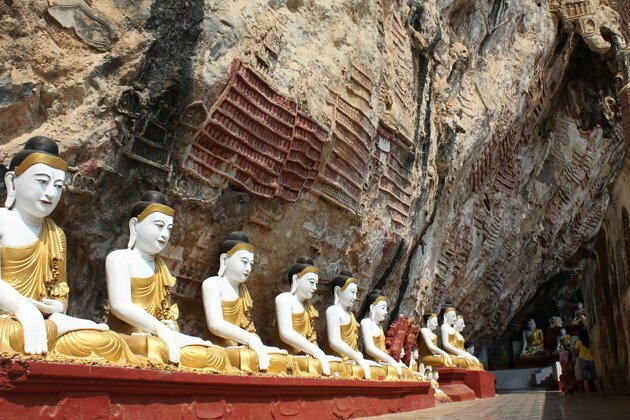 As guests walk through the cave, they will observe more than 2000 votive tablets of Lord Buddha and Mon inscriptions. One inscription is so ancient that, to this day, no scholar has been able to interpret it. Then, gaze out at Sadan Cave. 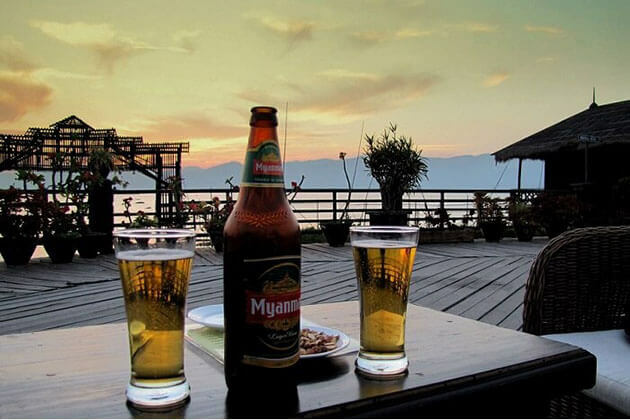 At the end of the day, check in to their hotel in Hpa An and take a stroll through this charming town, enjoy the nightlife. Overnight in Hpa An. After breakfast at hotel drive to Yangon. 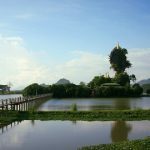 On the way, proceed to Bago, also known as Pegu, was the capital of the Mon Kingdom in the 15th century and is a steeped-in-legend town. 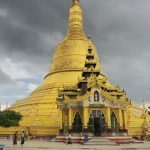 The sites in Bago spread out around the town and you’ll spend the whole day exploring with your guide, deepen the knowledge about the history and myths of the city. Stops include the 55-meter long reclining Shwethalyaung Buddha, the four seated Buddhas at Kyaikpun and the old palace of Kambozathadi. The Mon-style Shwemawdaw Pagoda is the most outstanding religious monument in Bago. 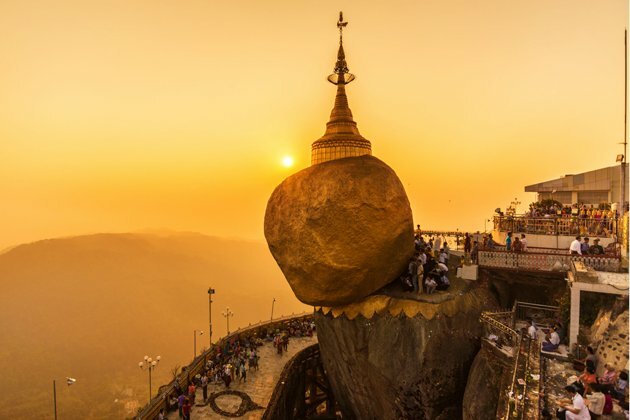 This golden temple stands at 114 meters tall, even higher than Yangon’s Shwedagon Pagoda, and can be seen from around 10 kilometers outside of the city. While in Bago we’ll also take time to visit the city’s local sites, including the town market and a Mon neighborhood where the locals produce beautiful woven textiles. Lunchtime will be at a local restaurant (with our own account) during the day’s touring in Bago. From Bago, we’ll return to Yangon this afternoon. 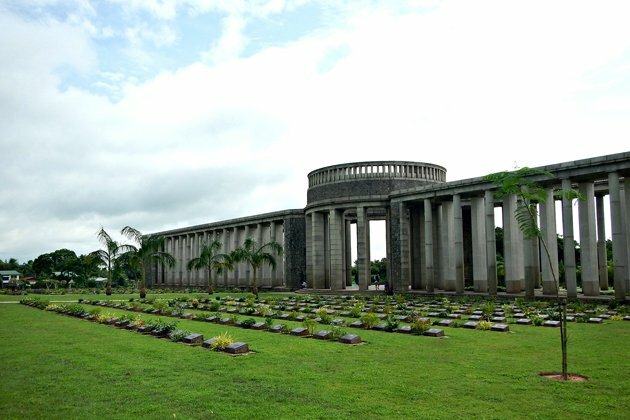 Before reaching the city limits, stop in Htaukkyan township to visit the Allied War Cemetery. 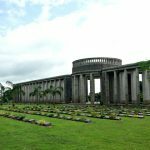 This beautifully landscaped, peaceful area is the final resting place for more than 27,000 Allied Soldiers having perished during the World War II campaign in Myanmar. 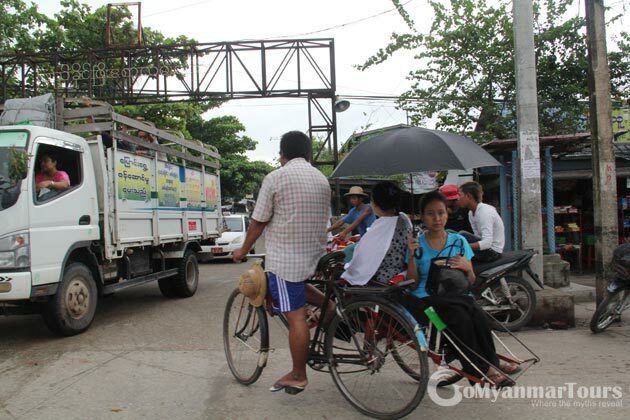 Once in Yangon you will be transferred to your hotel. After breakfast, tourists have a day off and wait until transfer to the airport for international departure flight. 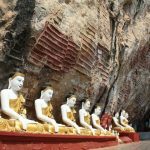 How much is the 4 day Golden rock Hpa An tour? Will it be running starting on either the 24th or 25th of October? Thank you for your request on Go Myanmar Tour. Please check your email for the quotation of this 4-day Myanmar tour from Yangon to Bago and the relevant info. Do you have a 3 day Golden rock Hpa An tour as I will not require the airport transfer on day four? Thank you for letting us know about your travel plan. 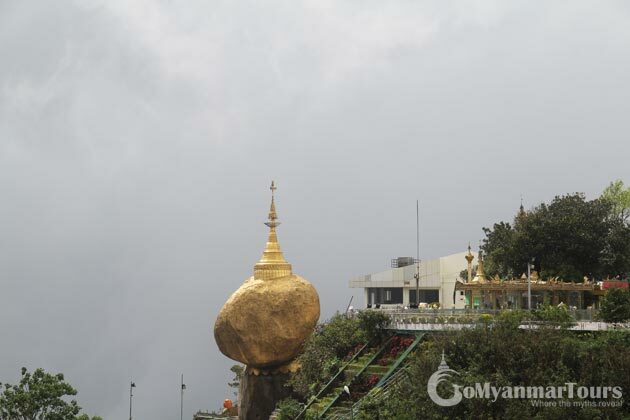 Please check your email for the quotation we customize upon your request on 3-day Golden Rock – Hpa An tour and feel free to tell us other relevant questions you still have. 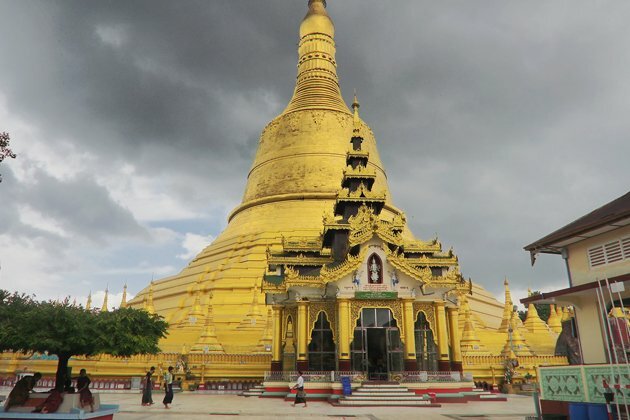 Do you have 2 days tour to Bago and Golden Rock? Welcome to Go Myanmar Tours. We have dropped a quotation for your request on Yangon Bago tour 2 days to your email address already. Please check it to view the suggested itinerary and feel free to tell us your other demand and interest. I would be a single traveler and wanting to share with a group to reduce costs. Can you give me some idea of prices please. Thank you for reaching to us. 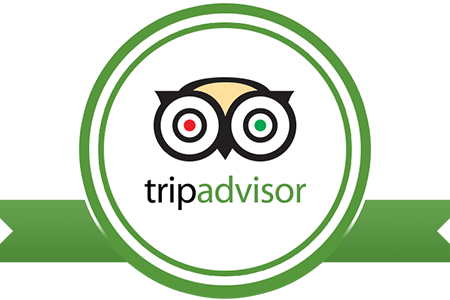 Please check your email for the detailed quotation of this Yangon Bago Tours 4 days and let us know if you have other relevant questions. How much for this tour in April please? either for 1 or 2 people, and we don’t mind travelling in groups. Thank you. Thank you for your request on Go Myanmar Tours. Please check your email for the detailed quotation we dropped for this 4-day tour package and feel free to ask us any relevant questions. There are 'tour guides' and tour guides. 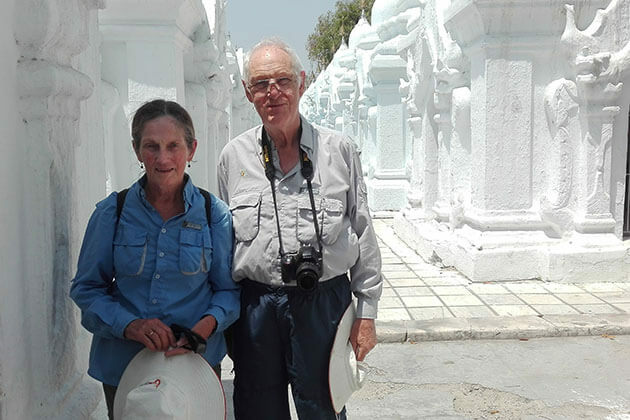 Go Myanmar Tours has spent years finding and developing the very best tour guide team in Myanmar. 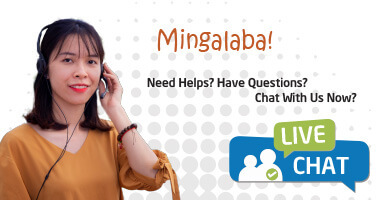 Our team is knowledgeable, flexible and friendly, but rich in personality. 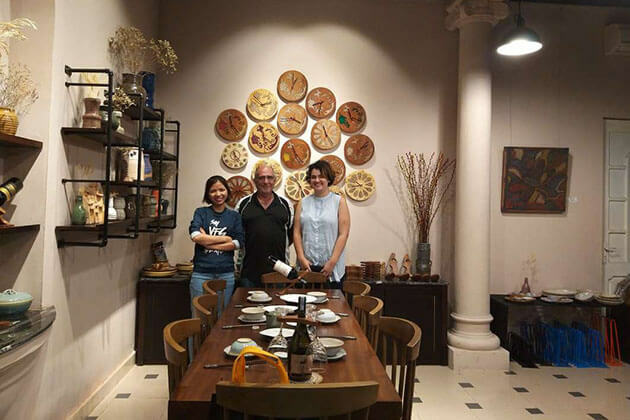 We adapt quickly with customer's responses, willing to share about local history, culture, tips, and thing we care much is developing our personality to bring the best exeperience for our lovely customers. Our goal is to be a lovely host, and to entice you back! Interacting with our travelers during their whole trip helps me understand more about their interests and concerns. I like seeking for the exotic and valuable experience. And I believe that this is one of the reasons that make us different. 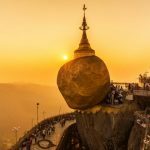 Go Myanmar Tours tailor-makes unique Myanmar tours to help travelers explore Myanmar their way. 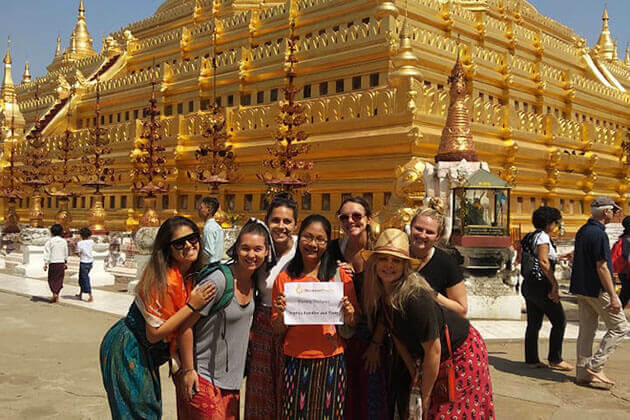 We are a passionate team of one hundred avid travelers who love to share our experiences of Myanmar with those looking for a more authentic travel experience.